Gazelle, a website that specializes in buying, selling and recycling gadgets, said on Tuesday that BlackBerry trade-ins recently reached an all-time high. As of last week, Gazelle has seen an 80% increase in Blackberry submissions. 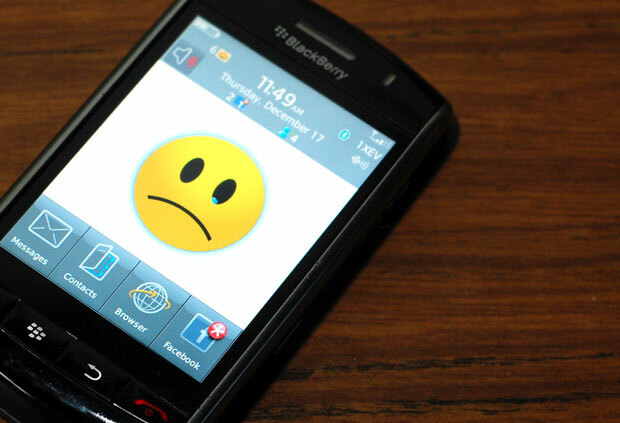 The iPhone 4S may not be the only thing to blame for this, as RIM’s e-mail and messaging services underwent serious outages recently. Android trade-ins also jumped to 72% during the past month, with the majority of sales reportedly coming from Sprint customers. Gazelle’s “Chief Gadget Officer’ Anthony Scarsella told CNET that this is “easily the highest volume of BlackBerry trades ever seen period.” That includes a “spike” following this month’s outage. “In the grand scheme of BlackBerry growth over the past month, it can be pretty much entirely attributed to the launch of the iPhone 4S,” Scarsella said. Besides BlackBerry seeing a recent boost, Scarsella says Android trade-ins have seen an increase of 72 percent during the same time period. That number may be a little fuzzier to attribute to any single event though. Gazelle says that the majority of Android trade-ins have been on Sprint’s network, which began carrying the iPhone for the first time this month. Users may also be planning ahead for one of the many new Android devices announced in the past few weeks. That includes Motorola’s dual-core 4G LTE Droid Razr smartphone, and Samsung’s Galaxy Nexus, which were both unveiled within just hours of one another and represent the latest and greatest on Google’s Android platform. All told, Gazelle has seen some 65,000 trade-ins of Apple’s iPhone since it began buying them from customers, and Scarsella said he expects that number to reach 75,000 by the end of this week. Earlier this month the company reported a used iPhone being turned in for cashonce every 15 seconds in a move to lock into buyback prices on the day the iPhone 4S was announced.